Police have arrested a suspect in the hit-and-run of a 9-year-old Georgia girl and her 11-year-old friend who were playing in her front yard when a car came barreling across the lawn and hit the 9-year-old head-on. But in a wild twist, the suspect says he was fighting off a carjacker at the time of the crash. Gabriel Fordham, 28, turned himself in to police in DeKalb County, Ga., and was arrested Tuesday evening in the hit-and-run that left LaDerihanna Holmes seriously injured in front of her Lithonia, Ga., home Friday. 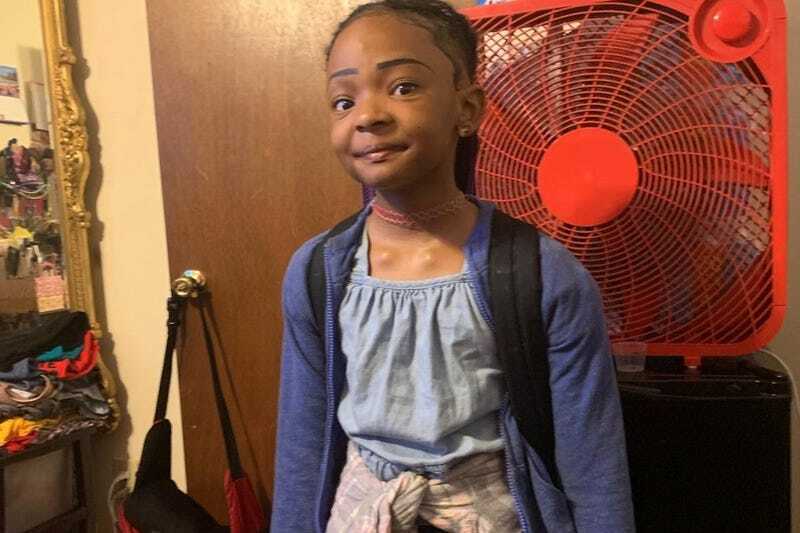 A second child, 11-year-old Alaysia Phillips, escaped with a severely bruised foot after being able to run out of the way, WSB-TV reports. News of the crash went viral after LaDerihanna’s family released home surveillance video footage of the incident. The disturbing video shows two people leaving the scene after a Ford Fusion careened across the lawn and mowed down LaDerihanna before plowing into the brick wall of her home. LaDerihanna’s family called the driver and passenger’s actions cowardly, but Fordham’s lawyer, Ryan Williams, in an interview with WSB-TV, says there’s more to the story—that Fordham was fighting off a carjacker when the crash happened. Williams says Fordham is apologetic and did stay at the scene of the crash initially, but that he left when angry family members appeared threatening. Williams says the second person seen fleeing was the alleged carjacker. In a statement issued Wednesday morning, Holmes’ family said they were pleased that “the driver of the vehicle who struck her while she was playing in her front yard has been identified and arrested on a host of charges.” They said they are hopeful the passenger in the car will be found soon. While LaDerihanna miraculously survived the crash, she suffered a skull fracture, broken pelvis and other injuries. A GoFundMe set up to help the family cover expenses had raised more than $50,000 of a $75,000 goal at the time of this writing Wednesday.